This time last week I was about to embark on a three day juice fast, my first one of 2016. I'm no stranger to juicing. Generally I juice every single day - whether that's a shot of lemon and ginger first thing in the morning, a blend of juiced vegetables to sip throughout the course of the day or a quick nutriblast for breakfast - and I also juice fast a couple of times a year, usually as a bit of a pick me up after I've over indulged, like at Christmas or after a holiday. But juice fasting is not for the faint hearted - and not just because you don't eat for a few days. As much as I love my juices, someone has yet to invent a juicer that isn't a complete and utter pain in the arse to clean. A large part of a juice fast day is spent at the kitchen sink. When the Nutribullet came out, I started making a lot more smoothies, as opposed to juices, purely because it took minimal effort during the busiest part of the day, when you're trying to get three people out of the house to nursery, school and work. For these reasons I have always been very keen to try a ready made juice fast, one where I could reap all the benefits - without having to spend my mornings rushing around like a maniac preparing everything, and my afternoons cleaning juicer parts! And then Nosh Detox got in touch and asked if I'd like to try them out. They offer pre-bottled juice fasting programmes (as well as healthy eating ones) which are completely perfect for the busy, fast paced lifestyles we all live in this day and age. You can pick a 2, 3, 4, 5 or 6 day programme and Nosh will send everything you need, ready to drink, directly to your door. You receive a bottle of lemon and ginger tonic and four bottles of fresh, raw, unprocessed fruit juices blended with superfood supplements for each day of your detox, as well as genuinely excellent ongoing customer service, including motivating emails and a telephone call half way through the detox to make sure you're getting on OK. The juices also come with a schedule, clearly labelled bottles and little notes of encouragement which are very handy and a nice touch! Having completed a number of juice fasts in the past, I knew what to expect from this one. Day one is always pretty easy, although the caffeine withdrawal can cause annoying headaches and make me a bit grumpy.... day two gets a little easier and although I generally don't feel hungry, I always start to miss chewing actual food... and then day three is when you get what I call the Day Three Juice High and I feel as if I could go on juicing FOREVER! The Nosh Detox pretty much followed the usual pattern, although the grumpiness seemed to last until the morning of day three this time ;) - possibly because it's been almost eight months since I last fasted. The one thing that did make me wonder about how I would get on was the amount of fruit in the smoothies. As a rule, when I juice/blend, I stick to vegetables with an absolute maximum ratio of 1:4 fruit to veg. 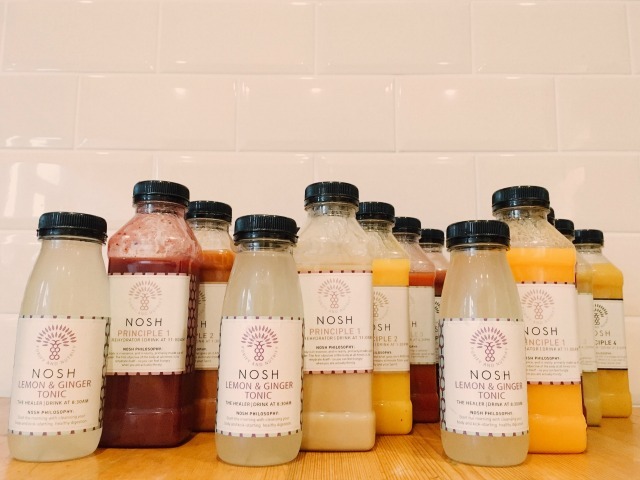 The Nosh smoothies are primarily made from fruit, which obviously makes them taste delicious, but means they have a pretty high sugar content. I needn't have worried. As the fibre is blended in with the fruit, the sugar is released gradually and actually means you stay fuller for longer which makes the detox much easier to do. Although I wasn't doing it to lose weight, I did weigh myself before and after and ended up losing 2.9kg in three days - that's over 6lbs! Juice fasting is a great way to rejuvenate your body with vitamins and minerals, give your digestive system a well earned break and you expel toxins, making yourself feel truly wonderful, in the process. 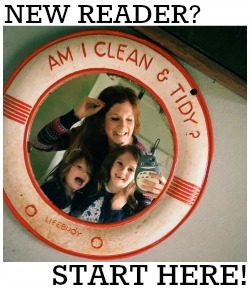 It's also a brilliant way to kick start a healthy eating/weight loss regime. 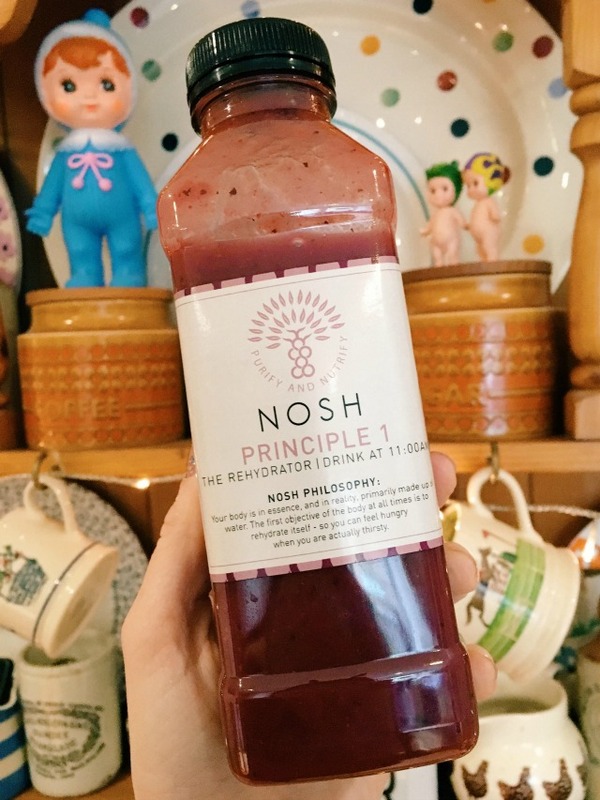 Although Nosh Detox's ready made programme is more expensive than making the juices yourself (only slightly - I'd say it costs about 25% more than buying all the necessary organic produce and supplements to prepare the juices from scratch) it is SO worth it when you take into account the time and energy you save not having to do it yourself! Take a look at the options available from Nosh Detox here. Prices start at £110.54 for a two day Juice Fast programme. I was sent a complimentary three day programme for the purpose of this review. All words are honest and my own.